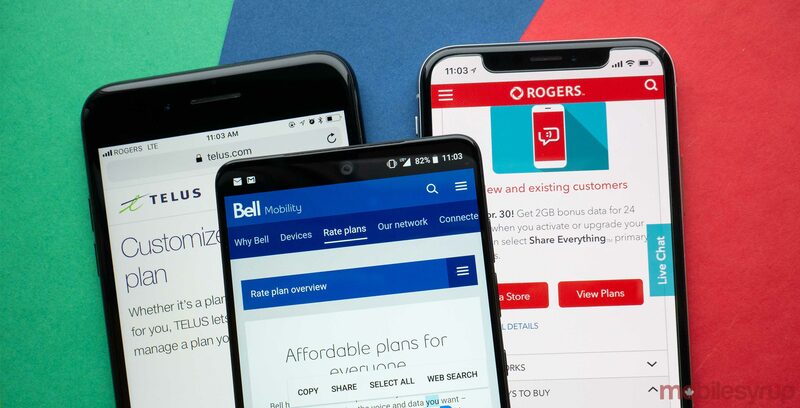 National carrier Bell Mobility has the fastest 4G download speeds in Canada, according to data analytics company Tutela’s latest Mobile Experience Report. The report gathered data between January 1st and March 31st, 2018, and Tutela logged 68 million data points, 173,000 speed tests, as well as 9.73 million response tests. According to Tutela’s report, national carrier Bell delivered the fastest 4G network speeds, with download speeds of 17.74Mbps. Rogers’s 4G network placed second — with an average download speed of 15.75Mbps — while Telus placed third — with an average download speed of 15.68Mbps. 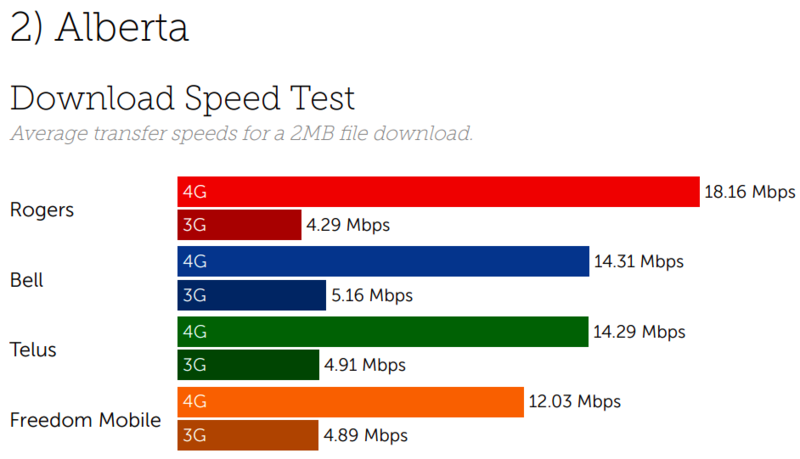 Tutela’s report is interesting, as it seems to contradict an OpenSignal report from February 2018 that suggested that Telus’s LTE network was the fastest in Canada. However, it’s important to note that Tutela didn’t distinguish between 4G and 4G LTE. Since HSPA+ networks are included under the 4G umbrella, Tutela’s report likely includes regular 4G networks speeds as well as LTE speeds. Interestingly enough, Tutela’s report revealed that Telus’s 3G network featured the fastest speeds in Canada, delivering 5.33Mbps of download speed to its subscribers. Bell’s 4G network also placed first in terms of upload speeds — delivering 8.81Mbps. 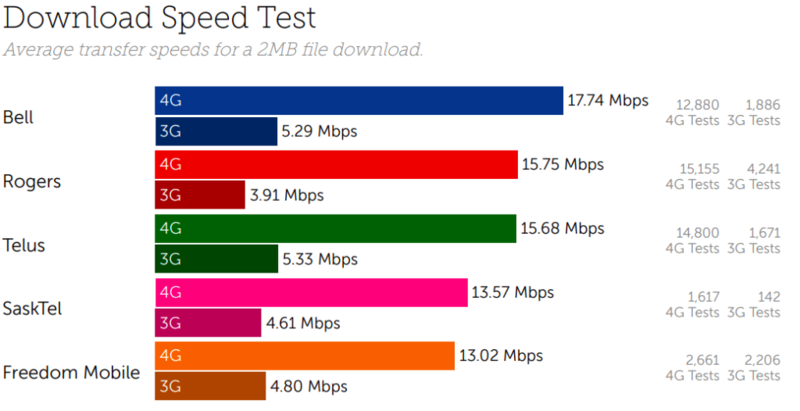 The country’s fastest 3G network for upload speeds is SaskTel — delivering 2.18Mbps. According to Tutela’s report, Ontario, Alberta and British Columbia, respectively, placed first, second and third in terms of overall networks speeds in Canada. However, not all networks performed as well in all three provinces. Bell’s 4G network delivered the fastest 4G download speeds in Ontario — 19.85 Mbps. 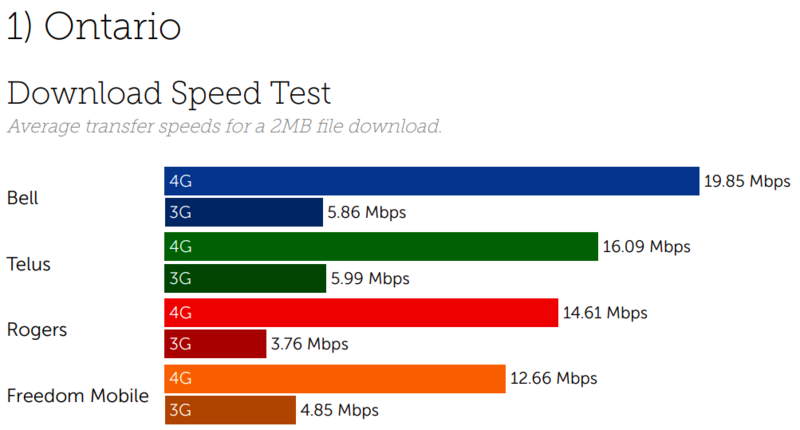 Telus’s 3G network delivered the fastest 3G download speeds — 5.99Mbps. Bell’s 4G network also topped Ontario’s list for upload speeds — delivering 9.62Mbps. In Alberta, Rogers delivered the fastest 4G networks speeds — 18.16Mbps — while Bell delivered the fastest 3G networks speeds — 5.16Mbps. 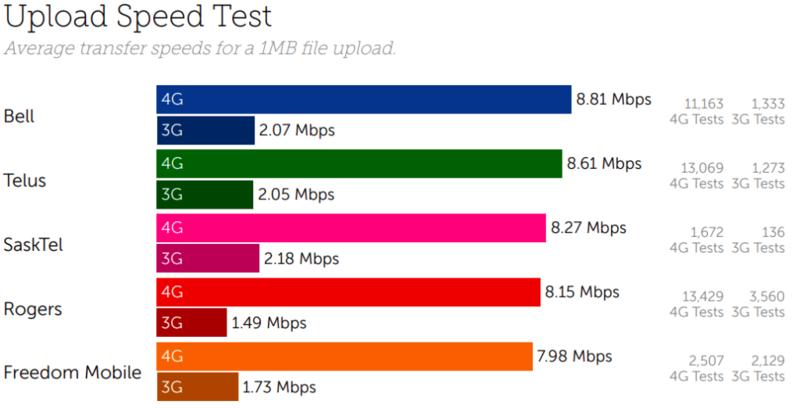 Telus delivered Alberta’s fastest 4G uploads — 7.99Mbps. Finally, Rogers’s 4G network topped British Columbia’s list, delivered download speeds of 17.85Mbps. Telus’s network topped the 3G list, delivered download speeds of 4.94Mbps. 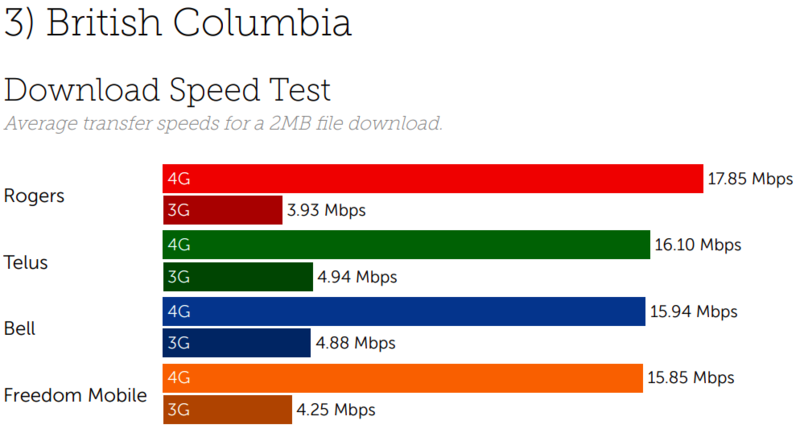 Interestingly enough, Bell delivered British Columbia’s fastest 4G uploads — 9.01Mbps. In terms of latency — the time it takes for a single packet of data to travel from a device to a network’s servers — Bell also topped Tutela’s list. Bell 4G network delivers latency of 23.5 milliseconds. 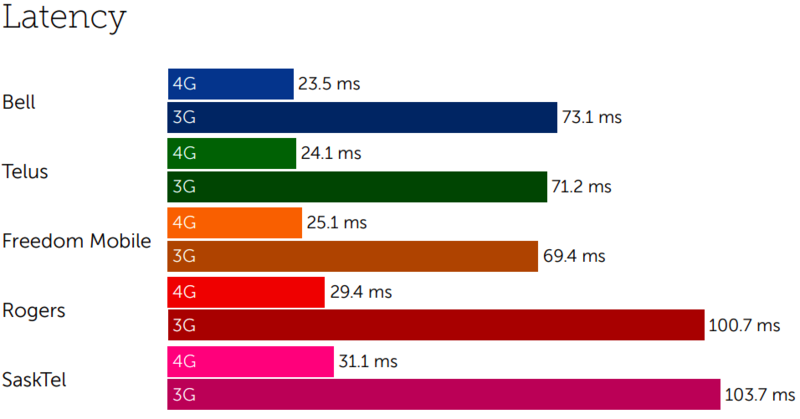 However, Telus topped the 3G latency list, delivering 71.2 milliseconds. SaskTel’s 4G and 3G networks delivered the highest latency — 31.1 milliseconds and 103.7 milliseconds, respectively.